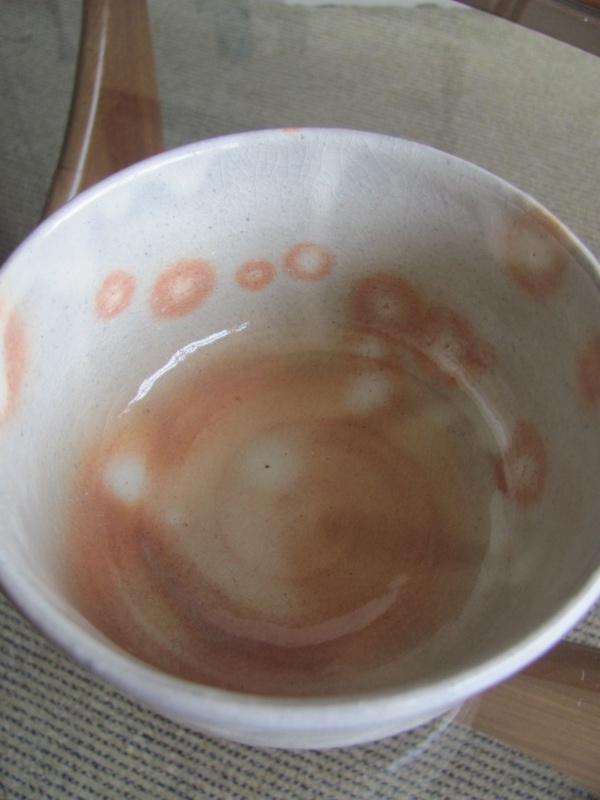 Chawan with cut foot and impressed character mark. 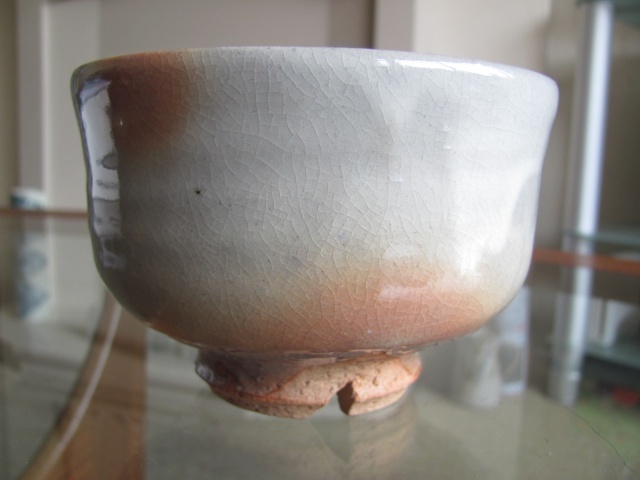 It's a Hagi chawan. 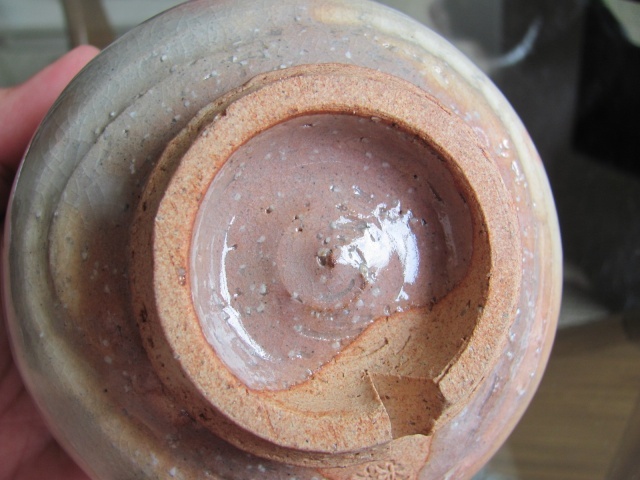 The wari kodai (cut foot) is typical of pottery from in and around Hagi City and the glaze is also one of the two most typical glazes they use there. 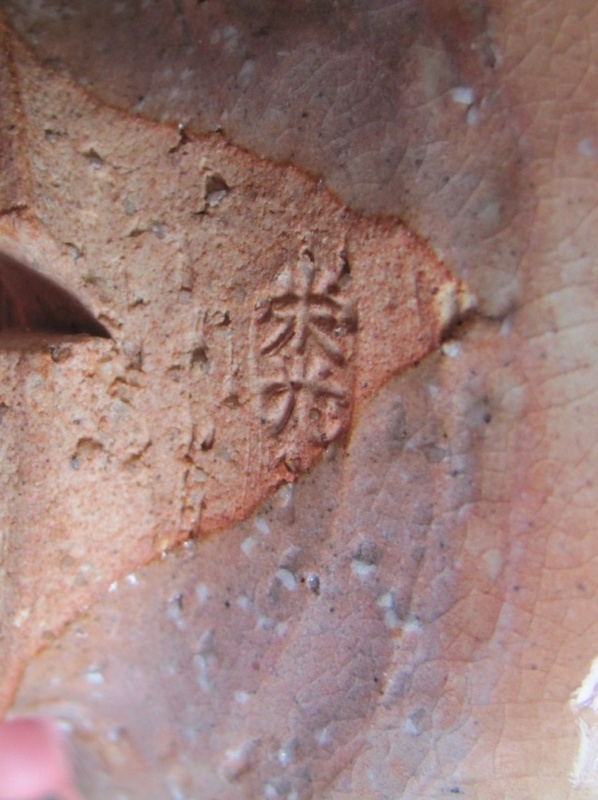 I have a book that shows members of the Hagi Association of Ceramic Artists in 2004, which is almost entirely in Japanese, so I'll see if I can find the mark. 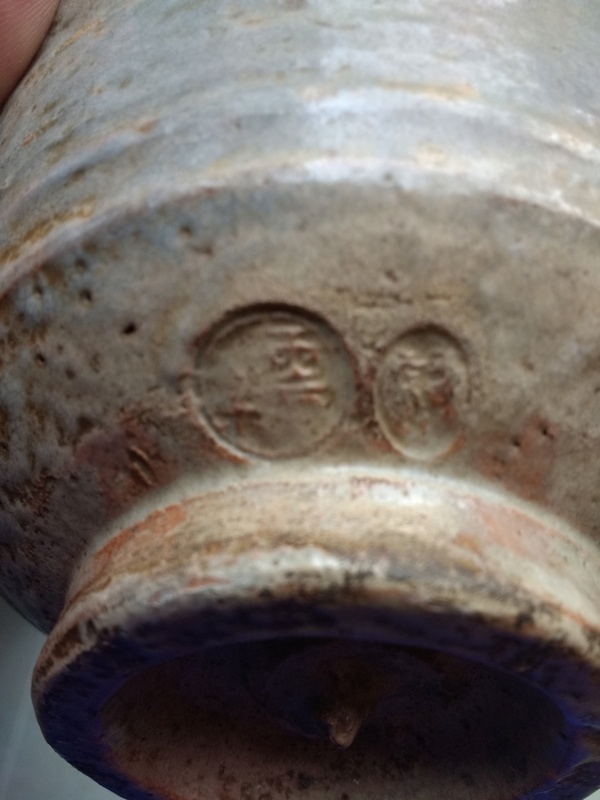 Been through the book of over 100 members and can't find the mark but it's definitely Hagi. 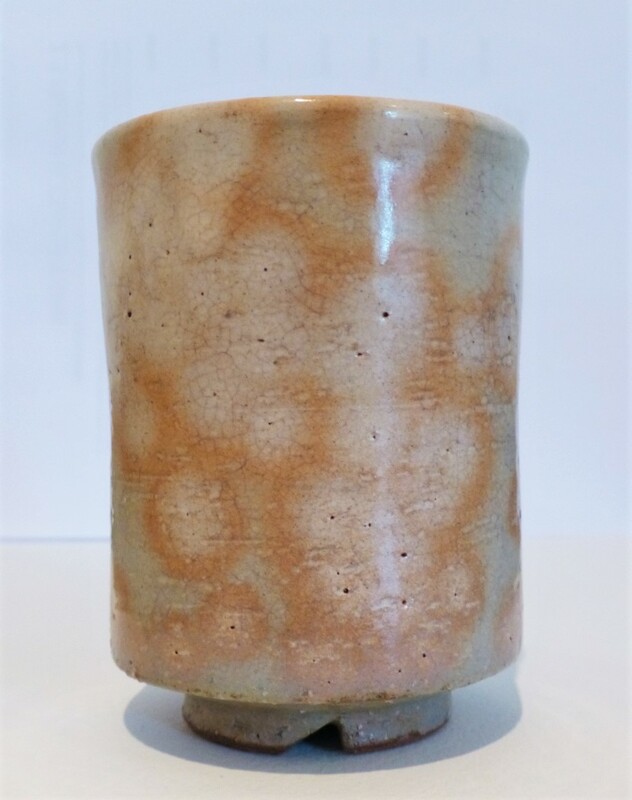 An Oni-Hagi chawan by Ken Komatsu. 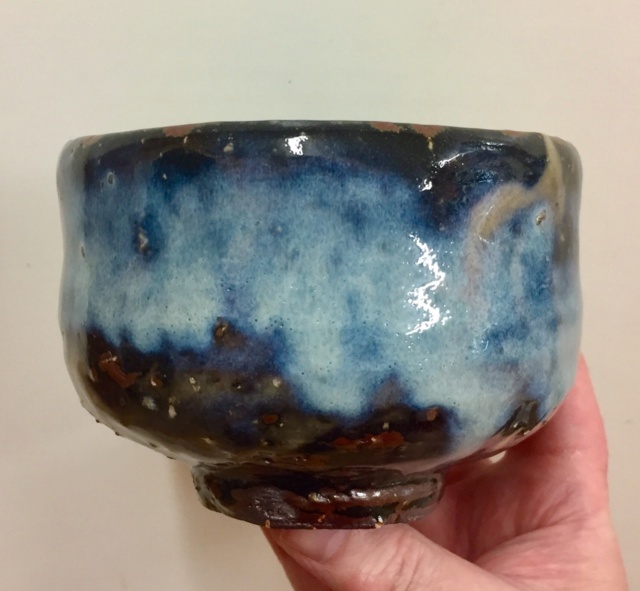 This is perhaps the most typical Hagi glaze there is. 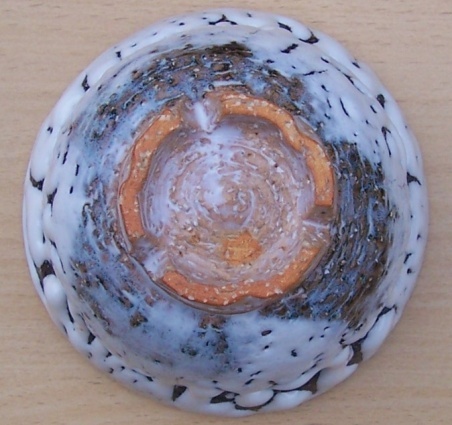 Oni means demon or devil, which are thought of as lucky in Japan. 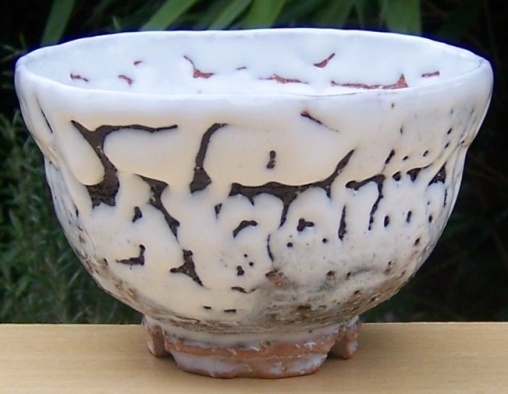 The glaze is a think white affair that is made in order to crawl during firing and is said by some to represent cherry blossom. 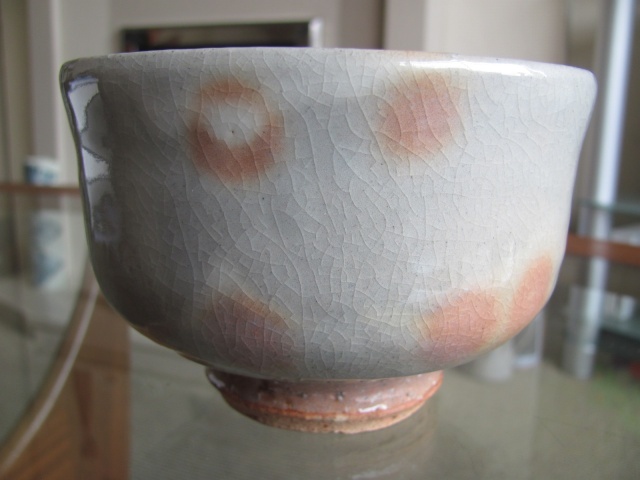 One important point to note about Hagi teabowls is that they leak when initially used, which is something that is regarded as a positive feature believe it or not. 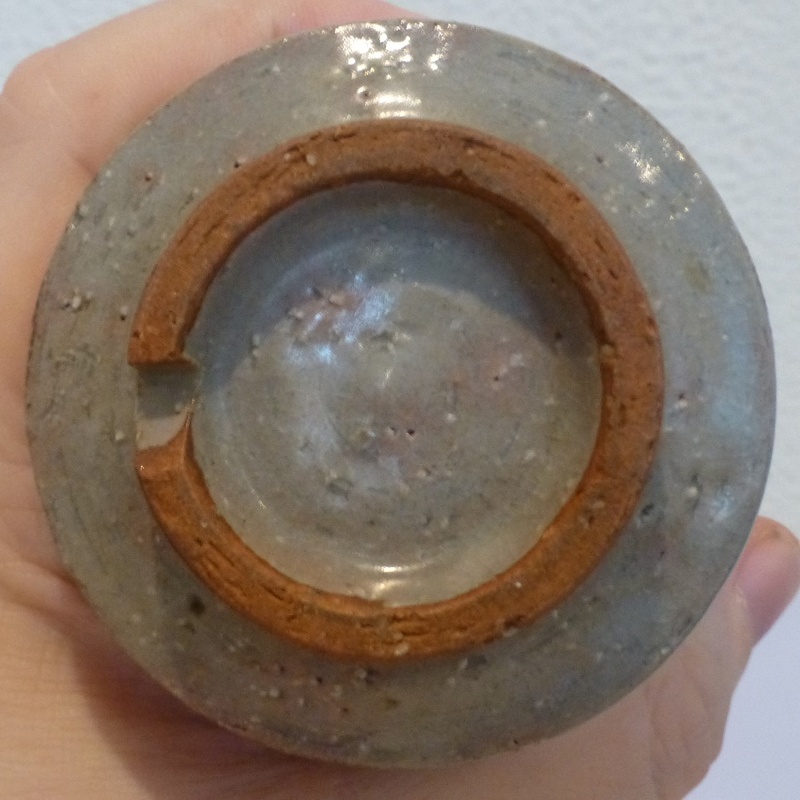 The pores in the gritty porous clay do get filled with use. 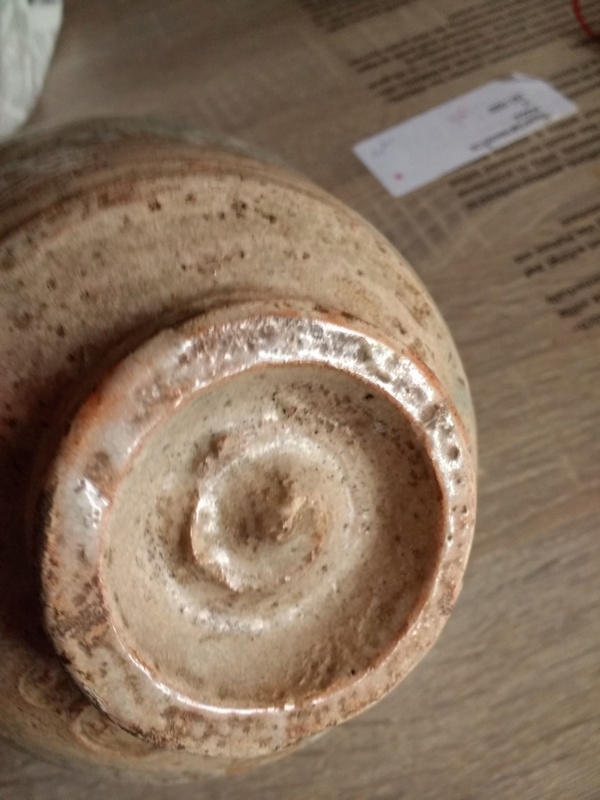 Fascinating stuff SP, thanks for the info. 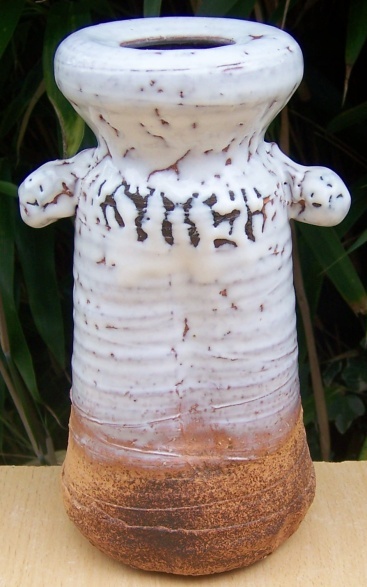 Oni-hagi vase by Shibuya Deishi. 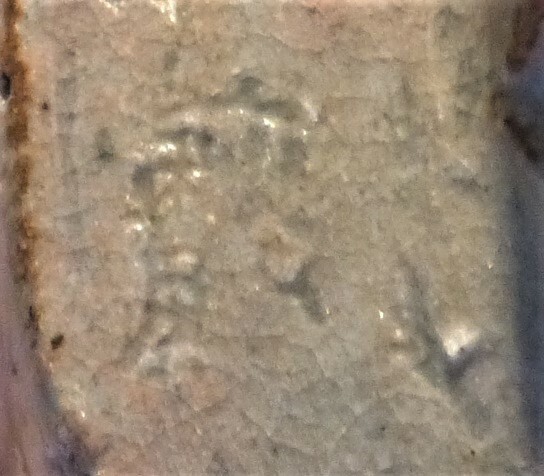 and his impressed seal mark. 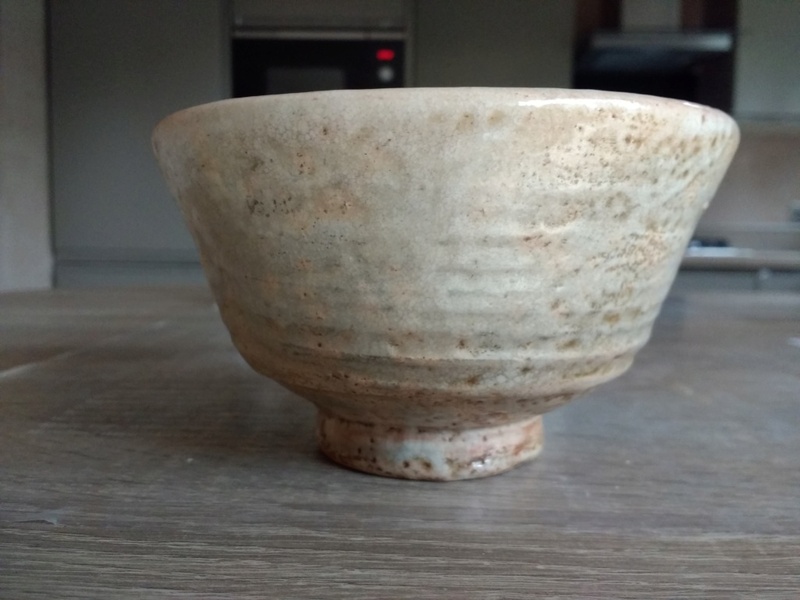 Would this be considered Hagi Ware? 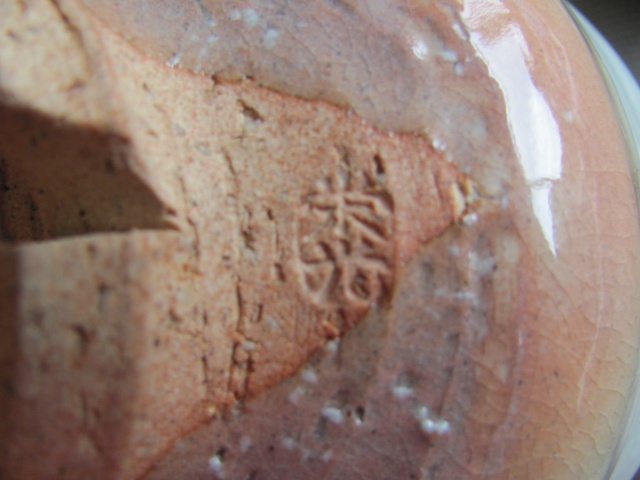 It has a distinctive spiral to the base and 2 Impress seal marks that are filled with glaze. 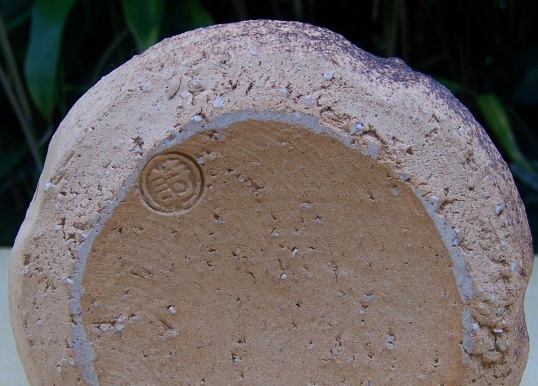 My initial research had led me Seigan Yamane but I haven't seen any with the double mark like this. I think this will be a difficult journey!